Saturday, 20th October 2012 saw some 250 + climbers of all ages turn up at the first official Blocfest of 2012 at Mile End, London. 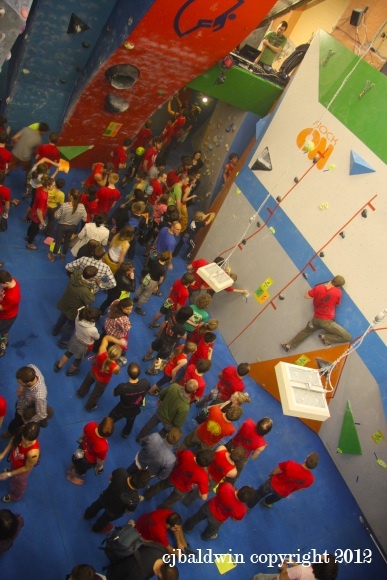 The centre was buzzing in red Five Finger Thing t-shirts that each climber got given as a gift from the Blocfest team from the very start through to the spectacular finals in the evening. 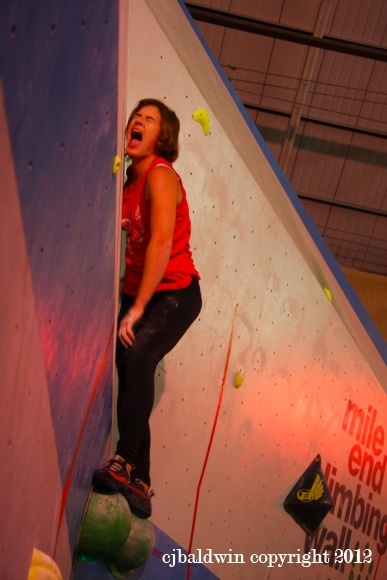 With the Blocfest DJ's creating the vibe, funky blocs, some crazy challenges, loads of giveaways from chalk bags to sports recovery drinks, free food, free sports massages, free coaching from Neil Gresham, this was psyched climbers only place to be! After hours of entertainment for all on the many styles of climbing from delicate slabs to burly overhangs and even an off-width it was time to find a good spectator seat for the showcase finals. 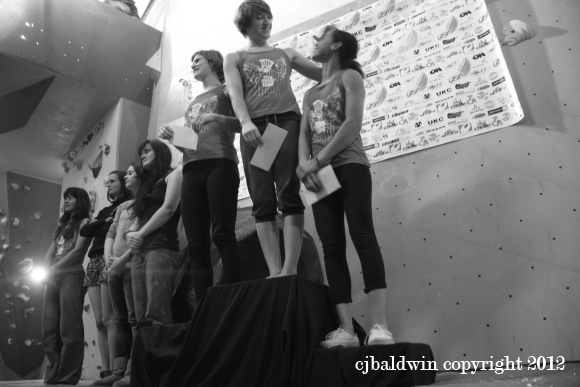 The finals were a huge hit with the crowd - the top climbers of the day showed off there immense talent and determination to put on a show. The Blocfest team created a spectacular set of wild moves that kept everyone on the edge of their seats. Audrey doing battle - A true inspiration to try harder!!! The girls celebrating and congratulating! The BlocFest Team would like to thank Wild Country as the main round and prize sponsor of this event along with Karma. Thank you to Mile End for hosting this great event and we look forward to visiting again next year! Thanks also to everyone who attended the very first Blocfest and all those who helped on the day, we couldn't have done it without you! And thank you to all our series sponsors - Boreal, Holdz, Rock On, Mountain Hardwear. 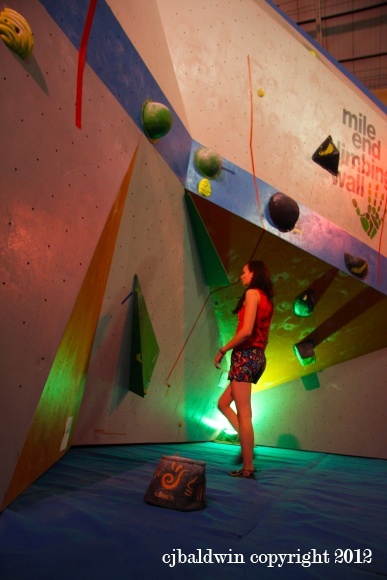 And our other sponsors - Moon, Prana, Metolius, Wild Country, DMM, NouriSH Me Now, Evolv, Beal, New Heights Fitness, La Sportiva, UK Climbing and our media partner, Climber Magazine. We look forward to seeing you at the Castle to go even bigger and better - December 8th.